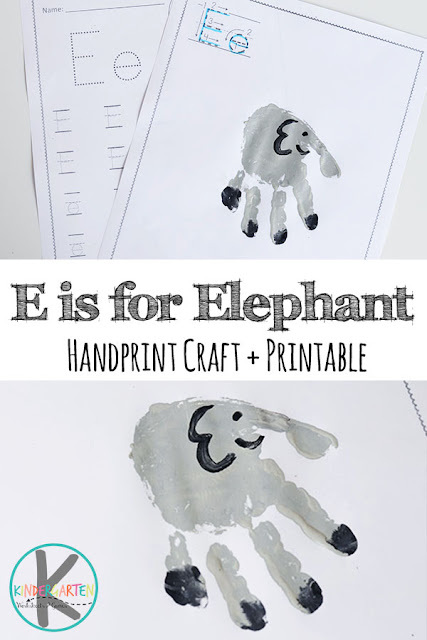 Next in the Alphabet Handprint Art Series is the letter E. This week we are sharing an E is for Elephant handprint craft ! 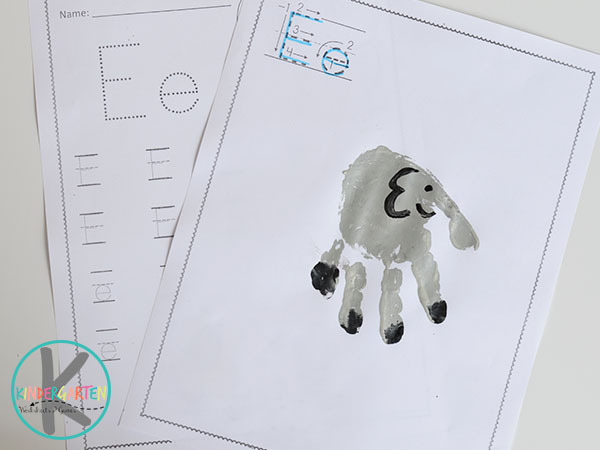 This craft is great for kindergartners as they learn the letter E. Don’t forget to print the free Letter E Worksheets to go along with it for more letter practice. This E is for Elephant craft uses jut a few colors of paint and supplies to make the cutest little elephant. 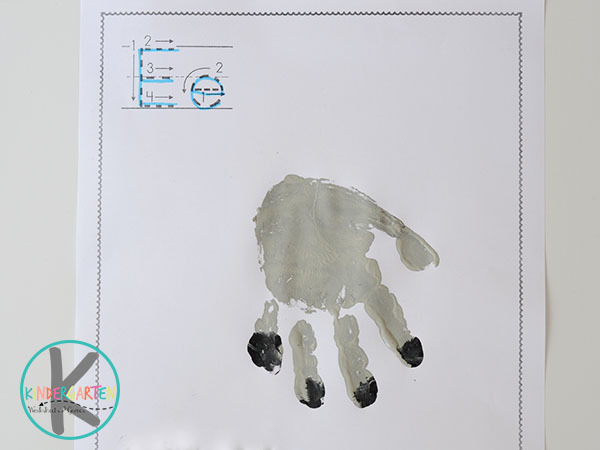 It’s always a lot of fun to for the kids to see how their handprint can turn into something else. 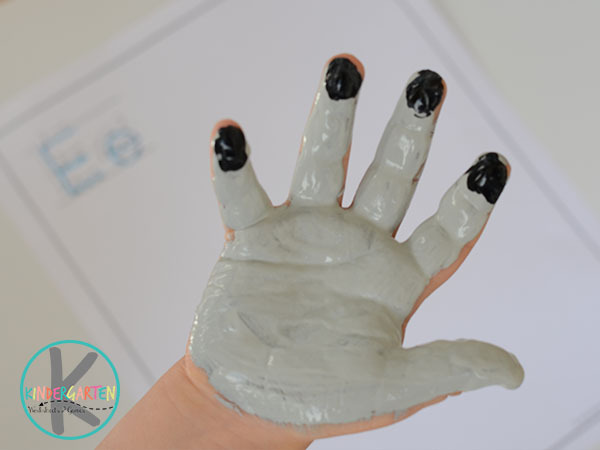 For this craft, we make a gray and black handprint for the elephant’s body, and then add some black paint for the details. It’s a simple and hands-on way to learn about the letter E! First, make the elephants body. To do this, paint the palm and fingers with grey paint. Add some black paint to the fingertips for the elephant’s feet. 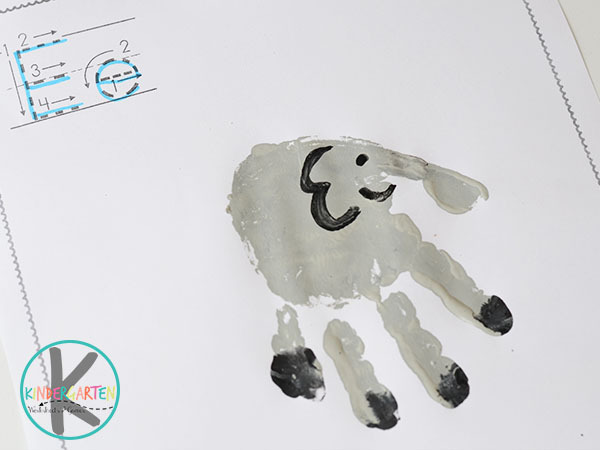 Press the hand onto the the center of the paper to make the elephants body. If the thumbprint part isn’t connected to the rest of the body, use a paintbrush to connect it. This will be the elephant’s trunk. Now it’s time to add details to the elephant. Make the ears my making a curvy line beside where the thumb connects to the rest of the handprint. Next, make a black dot for the elephant’s eye. At this point, you may also want add a tail or other details.